Nate Bender – All Season, All Terrain. 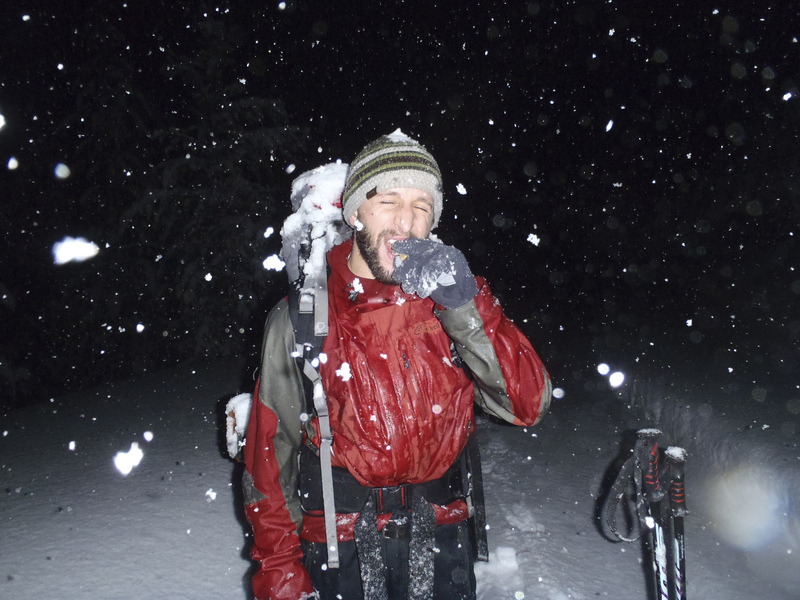 Nate cross country skiing near Woods Creek pass on the way to Horse Creek Hotsprings in Winter eating, believe it or not, the best candy bar ever. If there was ever a cross between a river rat and a mountain goat, it would look something like Nate. During his summers he is a river guide on the middle fork of the Salmon river in Idaho. And although the river pays him, there is always a peak in his eyes at the next stop. Nate is also a rock climber, a cyclist and in his spare time is a marketing student at the University of Montana.